Lock in a great price for Golden River Hotel – rated 8.1 by recent guests! Swim pool was nice and refreshing. When u made a request, it was fulfilled immediately. 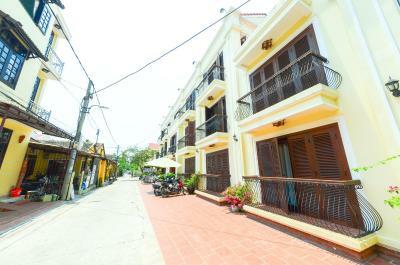 Lovely property in a center of Hoi An. Beds were comfortable, good WiFi and good facilities. Everyone was very nice and helpful. Very friendly staff and good location especially since it is close to the night market and the attractions in the old town. There were no disturbances while I was in the room. Easy check in and check out. 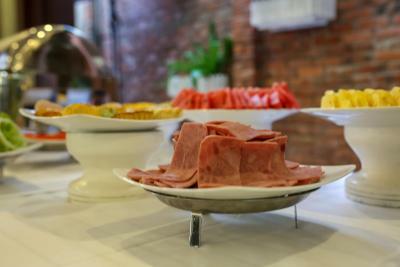 The hotel staff took the trouble to prepare the breakfast for us to takeaway since our tour started at 6am even though the breakfast buffet at the hotel is from 7am onwards. Swimming pool. The kids love it. The location is fantastic, and the front outdoor eating area is great. The room was great. The pool was great, too. Probably the best you can find in town. Staffs are nice. Very close the the ancient town, just a few walk away. Great view, especially at night. 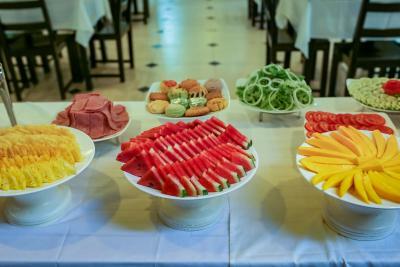 The location was excellent near all the markets, food area and Ancient City. The staff helps you with arranging attraction tours that fit your needs and offers a lot of assistance. Golden River Hotel This rating is a reflection of how the property compares to the industry standard when it comes to price, facilities and services available. It's based on a self-evaluation by the property. Use this rating to help choose your stay! 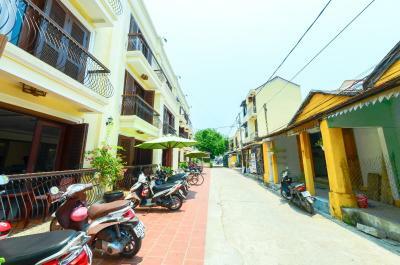 Golden River Hotel is located just a few steps from Hoi An Ancient Town and provides comfortable accommodations, an indoor swimming pool and free Wi-Fi. There is also a restaurant on site. The hotel is located about 2.5 mi from Cua Dai public beach and 1.9 mi from An Bang public beach. Free private parking is available on site. 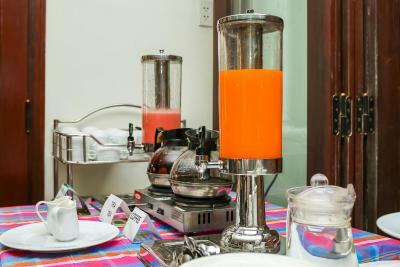 The hotel offers bicycle rental services for guests who wish to explore the region on their own. 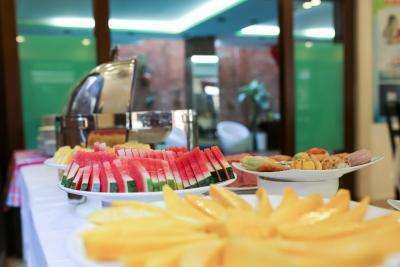 Hotel Golden River’s rooms are fully air conditioned and equipped with a flat-screen cable TV, a mini-bar and a seating area. They all have private bathrooms equipped with free toiletries. 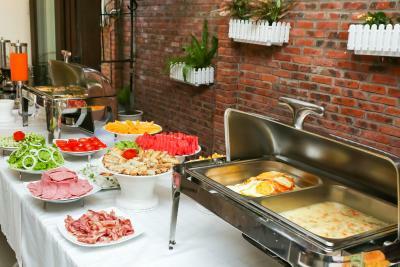 The in-house restaurant provides a daily buffet breakfast. 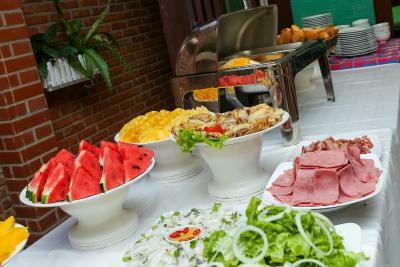 There are also several local food stalls and cafes located within walking distance of the hotel. When would you like to stay at Golden River Hotel? Located on higher floors and offering more space, these rooms are fully air conditioned and equipped with a flat-screen cable TV, a mini-bar and a seating area. They have a private balcony and an private bathroom equipped with free toiletries. 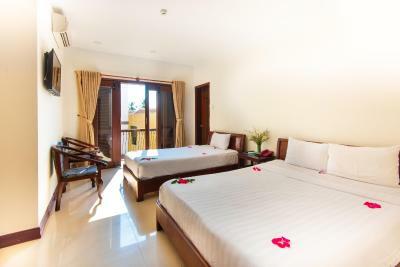 Offering more space, the rooms for 4 are fully air conditioned and equipped with a flat-screen cable TV and a mini-bar. The rooms feature 2 double beds. They have private bathrooms equipped with free toiletries. Hotel surroundings – This neighborhood is a great choice for travelers interested in ambiance, city walks and old-town exploration – Check location Excellent location – show map Guests loved walking around the neighborhood! House Rules Golden River Hotel takes special requests – add in the next step! 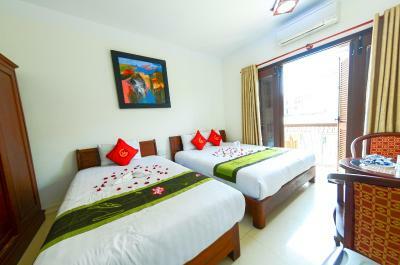 One additional older child or adult is charged VND 116629.05 per person per night in an extra bed. Golden River Hotel accepts these cards and reserves the right to temporarily hold an amount prior to arrival. The water pressure in the shower was poor but that is not a huge issue. Very dirty mosquito nets. Smelled horribly. Night shifts were full od weird people unwilling to do anything extra. Got my passport back after a payment. It was very noisy a place. Not possible to close down the windows. Location. Day shift at reception. It was what we exactly expected. Nice, friendly and very helpful staff. Perfect localisation for visiting town. In center but quiet. Breakfast was more than enough, bufet style. Clean and comfty rooms. Perfect! The pool is too small (but having a pool in Hội An is really hard) The room is quite old. It's a little bit noisy because of the festival's nearby.